As with everything available for download on this website, all guides predominantly relate to the "Windows platform". 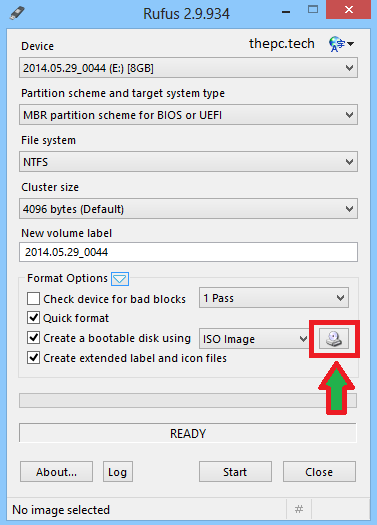 This How To guide pertains to creating a bootable Disc and/or a bootable USB Flash Drive. Please Note: This was successfully tested on all versions of "DaRT" that are available for download on this website. It was also tested (not shown) on Windows 7/8/8.1/10, Hiren's Boot CD, GParted, Partition Magic, and no errors were encountered. 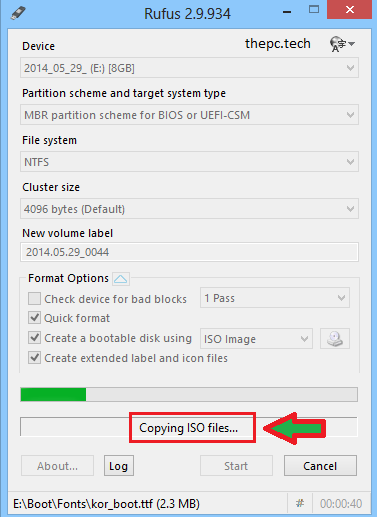 It may well work on a lot of other ISO Image files, but the testing procedure Is beyond the scope of this How To guide. 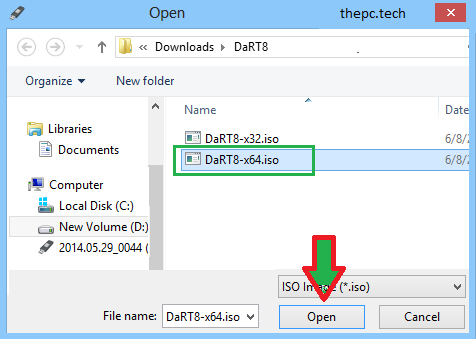 The guide on how to create a bootable USB Flash Drive, was performed on DaRT 8 64 bit using my Windows 8 OS. So you've downloaded a few PC tech tools and you're not entirely sure how to create them Into a bootable CD/DVD or bootable USB Flash Drive. Well, you're In safe hands. I will guide you every step of the way. 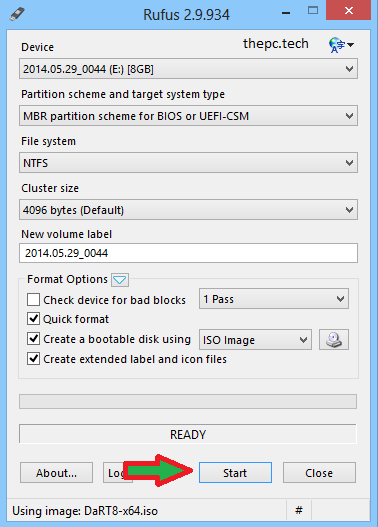 Once you create a bootable device, you can boot from It and use a given PC tech tool thereafter. The following How To guide Is very simple and straight to the point- all documented In point form with supported Illustrations. This Is my very own How To guide, not plagiarized nor copied from any other source. Are you permitted to use or reference this How To guide? Sure thing, just shoot me an email by using the Contact Form and I shall take your request at my earliest convenience. In the event you use this How To guide on another website, forum etc, you must reference and credit your source being: www.thepc.tech. Insert your CD/DVD disc Into your optical drive, execute Active ISO Burner, navigate to the ISO file that you wish to burn, and then hit the "Burn" button. It's as simple as that. You really can't go wrong. Firstly, download a freeware tool named "Rufus". The official website Is here. Make sure you download the "Portable version". This does not need to be Installed. * Insert your USB Flash Drive and execute Rufus. 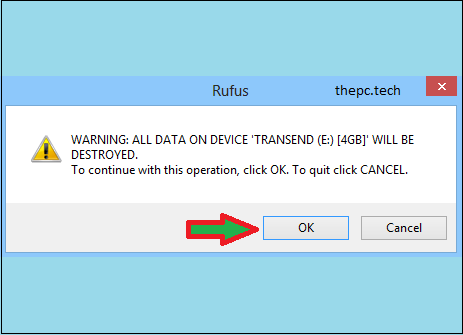 Under "Device" (at the top), select your USB Flash Drive and apply all settings as shown below. Then then click on the "CD/DVD" Icon as arrowed. * Navigate to the ISO file that you've downloaded, select It and then click "Open". * Now that the ISO file has been selected, go back to Rufus. Make sure all settings are applied as per the Image below, and hit "Start". * A message will be displayed that all data on your Flash Drive will be deleted. That's exactly the point, so accept It by clicking "OK". * Rufus will now begin to copy all ISO files to your USB Flash Drive. The process may take a little while so be patient. * Once Rufus completes Its task, your bootable USB Flash Drive will be created. Here's the result of my bootable USB Flash Drive. 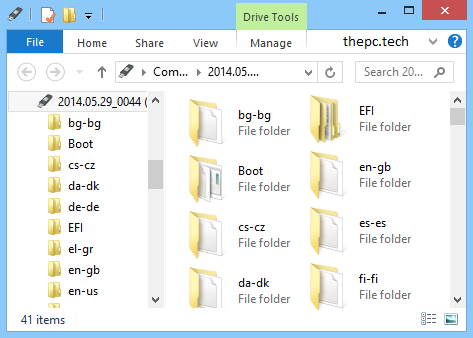 You can see the Boot folder and all files required to Initiate the boot process. And that's It, you will now have a bootable USB Flash Drive that you can use to boot Into your PC. Just remember to set the USB as the first bootable device In your PC's BIOS. Each BIOS manufacturer differs, so If you're not sure how to do It, refer to the user's manual or the manufacturer's website.